I'm currently locked in struggle at work with the creators of a trainwreck of a graph that I'm responsible for maintaining, that smushes a zillion lines together. I've suggested, as someone with a professional knowledge of these things, that a small multiple might get less headscratching at meetings, less time spent trying to decipher the mess, and more time spent considering and acting on the data. But graphs are one of those things that all managers think they are qualified to have an opinion on, so they're like "we want all the values on one graph so we can compare them", oblivious to the fact—observed at those meetings—that they are unable to compare them. 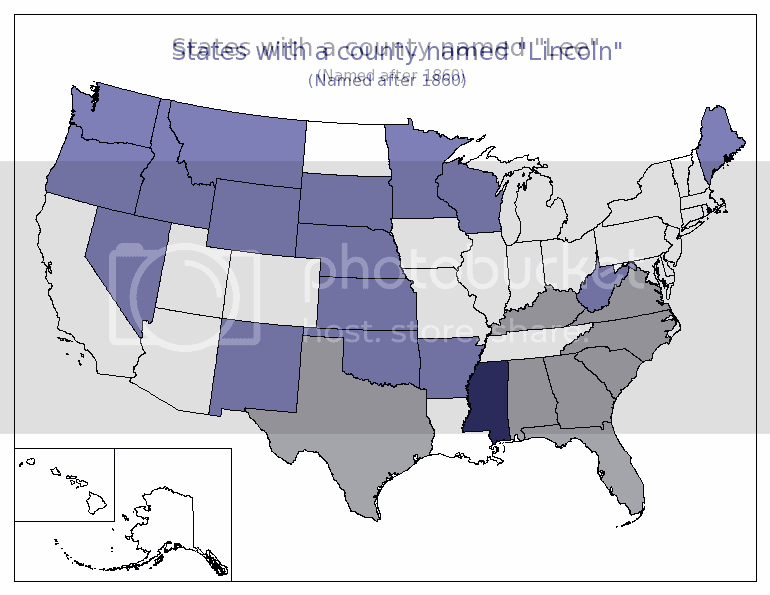 On the other hand, Patrick Ottenhoff at The Electoral map shows two maps of US states: one shows the states with a county named "Lincoln", and the other that shows states with a county named "Lee". Have a look at the two, then see this one, mashed up in a few seconds with Paint Shop Pro and 50% opaque layers. 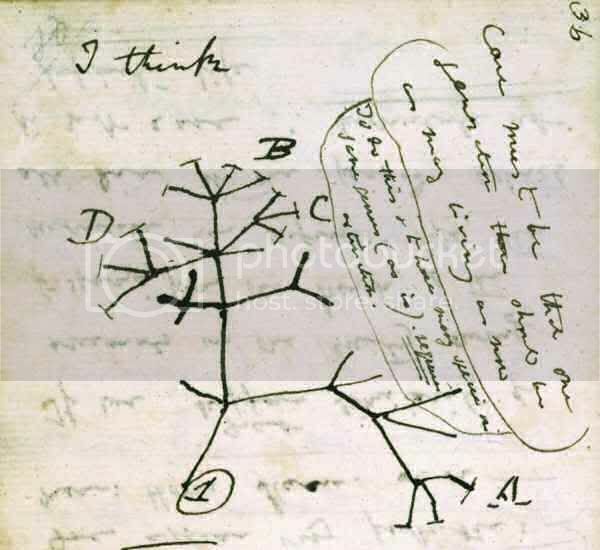 The tree format can't have been new; it's inherent in the Linnaean classification system (although the tree diagram's logical equivalent, the system of nested boxes, is probably closer to the original thought there) but the picture from Darwin's notebooks is a fascinating snapshot of a mind groping toward a mechanism for the descent of species from species. And the resemblance to a family tree can't have been lost on a scion of the famous Darwin-Wedgewoods. 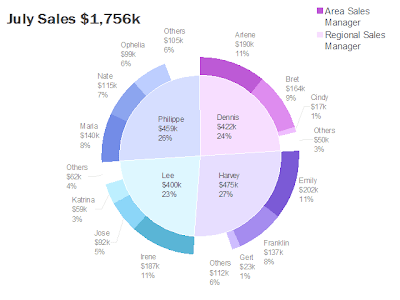 Visual intelligence is arranging a set of facts on a page or screen so their implications are comprehensible instead of incomprehensible, and sorting and grouping can help a lot. A common example in published stats is the American states: there are fifty of them (plus the District of Columbia), and that's a lot to take in in one go, so some sorting would help. Unfortunately the most common sorting for states is the notorious "Alabama first" system of simply listing them in alphabetical order. This might sound like a good idea if you haven't got a better one, but the question is, why haven't you got a better one? There's almost always a pattern you can use, and if there isn't you should seriously ask yourself why you're bothering with a graphic at all. You can vaguely see the ebb and flow of party wins over the whole country, but, sorted alphabetically by state abbreviation, this data set could be impossible to come to any more detailed conclusions about. But sort it by most recent results... ...and a pattern begins to emerge, showing which states have been most steady (at the left and right sides of their regional boxes) or most "swingy" (vacillating in the middle). Now group it (even if naively) into three regions and some things become even easier to see. Notice the switch over between north and south in the sixties. Actually, the first example was already sorted and grouped, but you wouldn't know it from the chaos of colours, which tells us that grouping is no good unless it's properly depicted, using colour fields, dividers, and group labels. By sorting and grouping, and showing the grouping, you can turn a large number of confusing values into something people can make sense of. 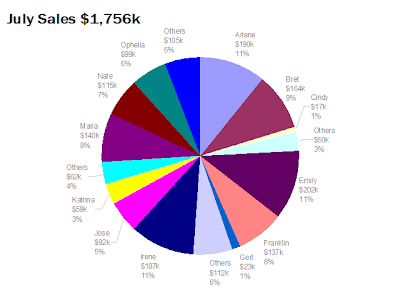 I can't say it exactly makes me like pie charts, but it makes them less horrible. What I love about these is that the design of the "design stamps" is itself so beautiful, in the most understated way: clean white background and black and grey sans serif text and icon, nothing else visible except the subject of the stamps. I like to use the trick of making headline text black and supplementary or optional text grey myself, especially where for one reason or another only one size of type is wanted. The other designs include Issigonis' Mini, Quant's mini, Concorde, the Spitfire, and Penguin books. Notwithstanding the presence of Beck's Underground map in the set, I think a stamp each could have been devoted to the Underground roundel and the font it uses, Edward Johnston's Railway type. An exercise in decluttering - Kaiser Fung (Junk Charts, Principal Analytics Prep) provides an example of how to declutter a chart of some multi-dimensional data on college admissions. Are trends the successes of others? - Possibilities and limitations of software - Eberhard Heins, editor in chief of "is report", was asking for them in an open letter. The answer is here.